Today’s bride Bridget got hitched last September in a glitzy Essense of Australia fit and flare gown. According to Bridget, she and Joe “met at the place where everyone says not to meet your soulmate…the bar.” He had been DJing at their local college bar during Halloween, and Bridget admits that she only talked to him to try to win the costume contest! While she didn’t leave the bar with the originally intended prize, she ended up winning something much better instead. 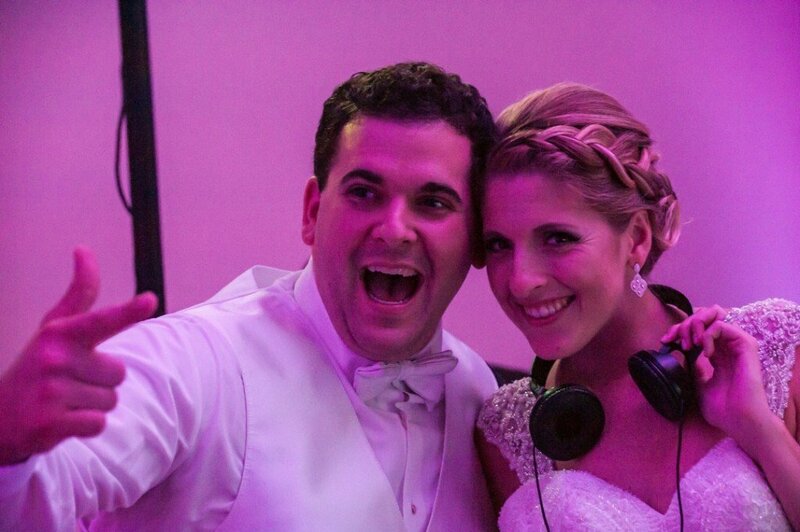 To come full circle, Joe DJed part of his own wedding too! When it came to dress shopping, it was a miracle it even happened! Bridget’s original appointment with us happened to be a day a huge blizzard swept through town. Fortunately, we were all able to find another day that worked to get Bridget back in with us that worked for her mother and her sister as well. At that point, Bridget had been to quite a few dress shops, but ended up finding her dream gown here with us! 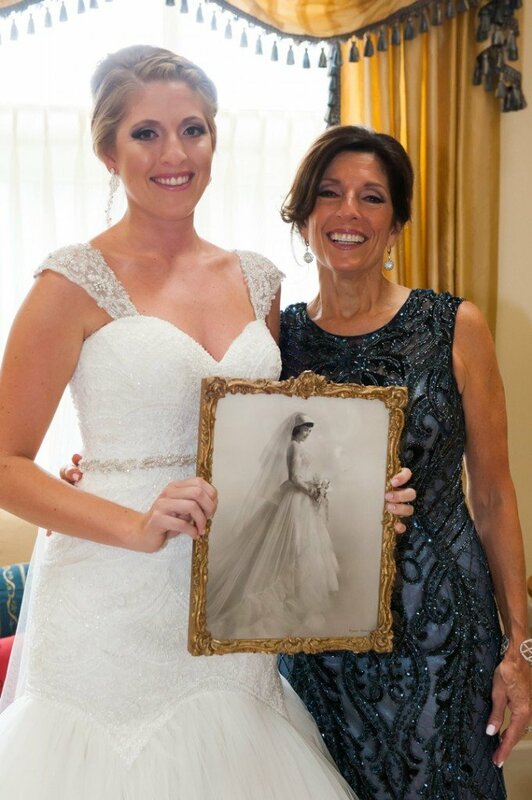 Bridget looked radiant on her wedding day! We wish you and Joe many years of love and happiness!